Please note that payment in full is expected on the day of your appointment. Payment via Credit Card / EFTPOS is preferred, but cash and cheque are accepted. We can submit your account to Medicare to allow the Medicare rebate to be refunded direct to your account if medicare have your account details on file. If you are unable to attend or no longer require your appointment please cancel with as much advance notice as possible. Please contact the rooms on (08) 9332 2861 to cancel. Please ensure you bring a copy of your referral to the appointment. You cannot receive the Medicare rebate for your appointment if you do not have a valid referral. In addition please bring an accurate list of your medications, as well as previous scans/blood test results/medical correspondence if you have them. If this is your first visit to us, please arrive 5 minutes early to complete your Patient Registration or you could bring a completed patient registration form. 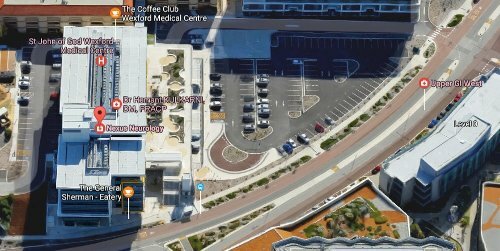 Parking is available to the right of the Wexford Medical Centre via Gate 2. 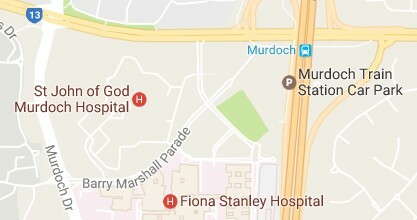 There is a set-down and pick-up area adjacent to the entrance to the Wexford Medical Centre, and the first 30 minutes parking is free to facilitate drop off and pick up.